Gorenje Group accomplished its goal in terms of revenue in 2017, with the figure estimated at EUR 1.307 billion, which is nearly 4 percent more than in the year before. Contributing the most to such revenue growth were sales in the markets of Russia, Ukraine, the Netherlands, the Middle and Far East, the USA, Asia, and Australia. Operating profit reached EUR 21.7 million, and the Group's bottom line for the year was net profit of EUR 1.2 million. Performance in the year was considerably affected by numerous measures for mitigating the negative market conditions, particularly growth of raw and processed materials, which affected the profitability especially in the second half. In 2018, we are planning further growth of revenue and net profit. Consistently with our strategic policies, we shall continue to step up our sales in the markets beyond Europe, while consolidating our market shares in major European markets and increasing the shares of innovative and premium appliances. In 2017, Gorenje Group completed a several-year cycle of major investments into production. This has resulted in new generations of products across all categories for all key brands. Thus, we launched last year mass production and sales of new generations of premium washing machines, dryers, dishwashers, and freestanding cookers. New built-in cooling appliances and connectible appliances are in the final stage of development, undergoing intensive testing and system optimization. At the end of the year, we made the first deliveries of connectible appliances under the Atag brand to our partners, for installation in smart homes in the Netherlands. Performance was negatively affected, especially in the second half of the year, by the following developments: lower-than-planned sales in the domestic appliance segment, especially on account of price repositioning in Germany; pricing pressures related to labour costs; increase of prices in upstream markets; and higher production costs related to the start of mass production of new generation products, as noted above. One of Gorenje Group's key policies in 2017 was focusing on the home appliance segment as the Group's core activity. Therefore, we examined the possibilities of divestment of companies and assets from non-core operations. We started with the divestment process for Gorenje Surovina, the largest company among non-core businesses; we shall continue these efforts in 2018. We are also continuing our digital transformation as mapped out in the company's digital business strategy. In 2018, we are planning to considerably decrease our net financial liabilities which will amount to EUR 274 million at the end of the year, or EUR 75 less than at the end of 2017. The budgeted decrease of financial liabilities largely results from the planned divestments of non-core businesses and assets, alignment of investment with depreciation and amortization, working capital optimization, and positive cash flow from operating activities. EBITDA for 2018 is budgeted at good EUR 86 million, which is 13 percent more than the estimated EBITDA for 2017. Budgeted EBIT of good EUR 25 million is more than 16 percent higher than the 2017 estimate. Our net profit for 2018 is budgeted at EUR 8.1 million. Further focus on the core activity will also positively affect our performance in 2018. Sales revenue is budgeted at EUR 1.33 billion, which is 1.6 percent more than the 2017 end-of-year estimate despite the planned divestment in the non-core segment. Revenue in the core activity of domestic appliances shall amount to EUR 1.19 billion in 2018, which is good 10 percent more than estimated for 2017. Budgeted gross profit in this segment exceeds the figure estimated for 2017 by 6.6 percent. Higher revenue will mostly result from higher sales of innovative and premium appliances which will account for over 22 and 30 percent, respectively, of our total domestic appliance sales in this year. Breaking down by brands, the highest growth is expected with the premium brand Asko for which sales are budgeted to increase by over 20 percent on account of Asia, Australia and Russia. 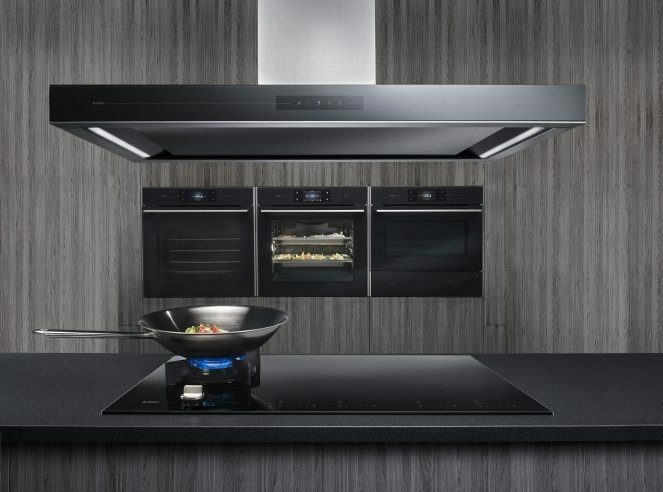 Atag brand sales are budgeted to grow by 13 percent while sales of Gorenje brand products will rise by 8 percent. Within the European Union, our sales growth will be the steepest in Germany, Poland, Hungary, Slovenia and Croatia, while beyond EU, we are planning the highest growth in the markets of Russia, Ukraine, Bosnia, Serbia, the Middle and Far East, Asia, and Thailand. In terms of domestic appliance categories, the highest sales growth is expected with washing machines and dryers (14.5 percent growth). The year 2018 will be the first full year of sales of the new generation of laundry care appliances under the Asko brand, which is why we are budgeting a considerable increase in average downstream prices. Under Gorenje brand, we shall launch the sales of a new generation of washing machines and dryers this year, which will account for as much as one half of total production and sales. By increasing the share of advanced appliances under the Gorenje brand, we will see our total revenue increase notably in Germany, Croatia, Poland, Russia, Slovenia, and Ukraine. We are also planning a nearly 13-percent increase in sales of cooking appliances, and 7.5-percent growth of sales of dishwashers for the Gorenje and Asko brands. Our plans for 2018 also include important investments into development, for which we will earmark around 3 percent of total Group revenue. This will include development of built-in induction, gas, and electric hobs, new platforms for built-in ovens and premium hobs, upgrade of Asko washing machines and dryers, development of a new generation of Asko Professional washing machines and dryers, development of the Simplicity 2.1 designer line, and development of a new platform of free-standing refrigerators. We shall also continue to develop connectible appliances. The Supervisory Board discussed the 2017 end-of-year performance estimate and the Gorenje Group business plan for the year 2018 at its session on January 11 when the Board was also presented the progress of the search for a suitable strategic partner. The Supervisory Board was also presented the processes and procedures examined in 2010 and 2011 by the then Audit Committee and Supervisory Board with regard to the loan to the company Intersolar. The Supervisory Board found that all procedures were completed in 2012 when the report on the work of the Supervisory Board was also presented at the Shareholders Assembly. Members of the Audit Committee at the time also presented the report to the relevant state authorities. In view of this fact and the fact that the loan, complete with interest, has been fully repaid, the Supervisory Board adopted the decision not the deal with this case anymore. With regard to the sponsorship of the Russian football club Torpedo Moscow, the Supervisory Board adopted a decision upon proposal by the President and CEO Franjo Bobinac and the Audit Committee to review the deal as soon as possible.